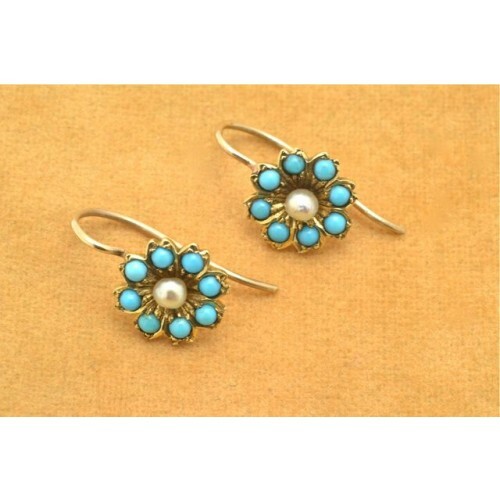 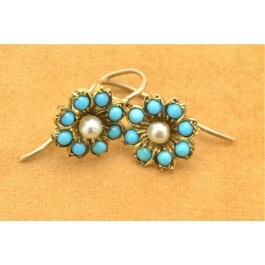 Antique turquoise and pearl drop earrings, in a gold setting. 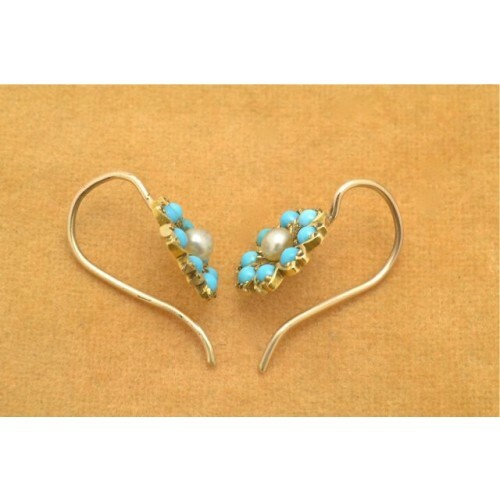 There is a natural pearl in the centre, surrounded by 8 turquoise stones. 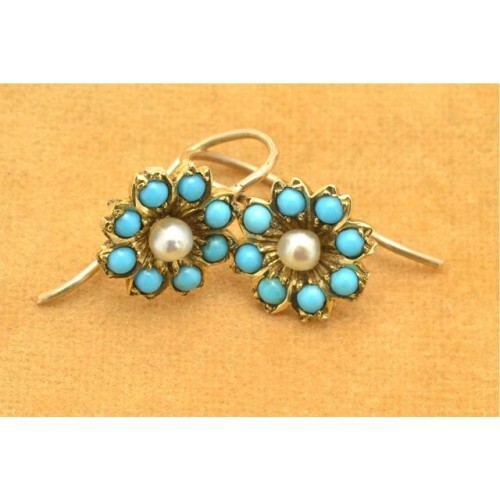 This pretty drop earrings are in a flower shape, and date back to the 1890's.